Storytelling Oboes Coming to East Haven! On this coming Saturday, May 31st at 2 PM, Oboe Duo Agosto will bring Storytelling Oboes to the Hagaman Memorial Library in East Hartford, CT. The admission is free – please call 203.468.3890 to reserve your seat as the seatings are limited! Come celebrate the first day of Spring with us at Capital Community College tonight at 6 PM! 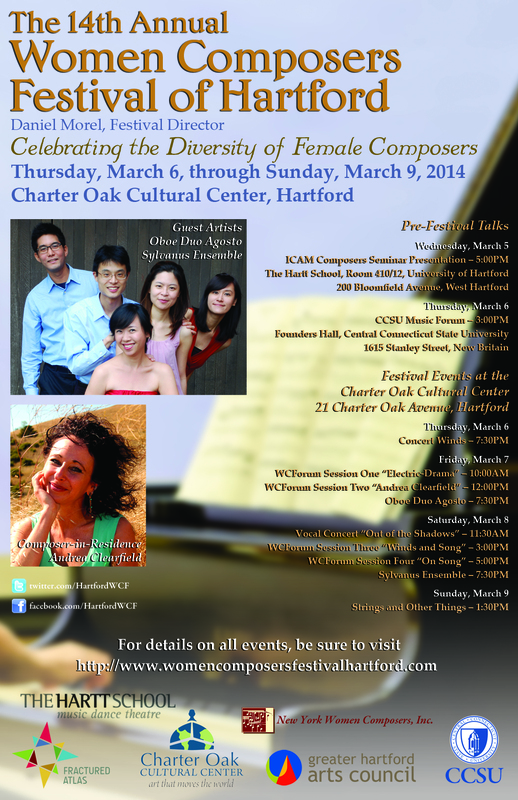 Charles and I are very excited about the upcoming Women Composers Festival of Hartford! As guest artists of this annual event, we will perform in three concerts from March 6 to 8, 7:30 PM at the Charter Oak Cultural Center in downtown Hartford. The Festival will open with a woodwind concert on March 6. 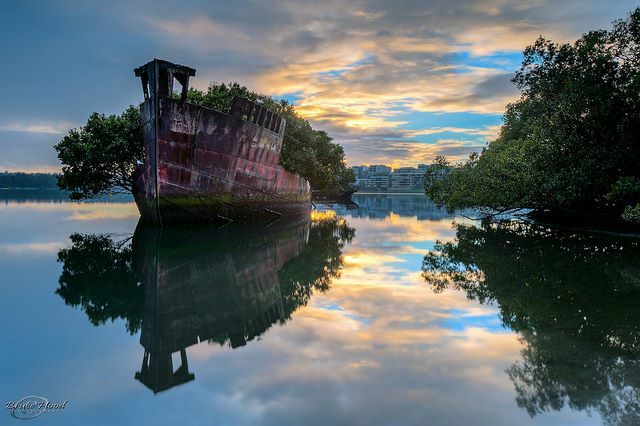 The program includes music by winners of the 2014 Festival score calls, Joan Tower’s Island Prelude, and Unremembered Wings for oboe and piano by Andrea Clearfield, the composer in residence. On March 7, Oboe Duo Agosto will present a full concert of music for oboe and English horn, among them the world premiere of the Festival commission, Andrea‘s Daughter of the Sea. This piece is inspired by the Love Sonnets of Pablo Neruda, in which we will not only play our instruments, but also speak, sing (!! ), move and make unusual sounds on the oboe and the English horn. Charles and I feel very privileged to have Andrea create this unique work for us. We have been enjoying learning the music and are looking forward to performing it! On the same concert, Charles will also perform the winning piece of the Festival competition, In the City at Night for solo English horn, by Jenni Bradon. The Sylvanus Ensemble will take the stage for the concert on March 8, presenting music for strings, oboe/English horn and piano: Andrea Clearfield‘s 3 Songs for oboe and double bass, Ruth Crawford-Seeger’s Diaphonic Suite No. 4, Hilary Tann‘s The Walls of Morlais Castle, and works by the winners of the 2014 Festival score calls. Storytelling Oboes are coming to Hamden, CT this week! 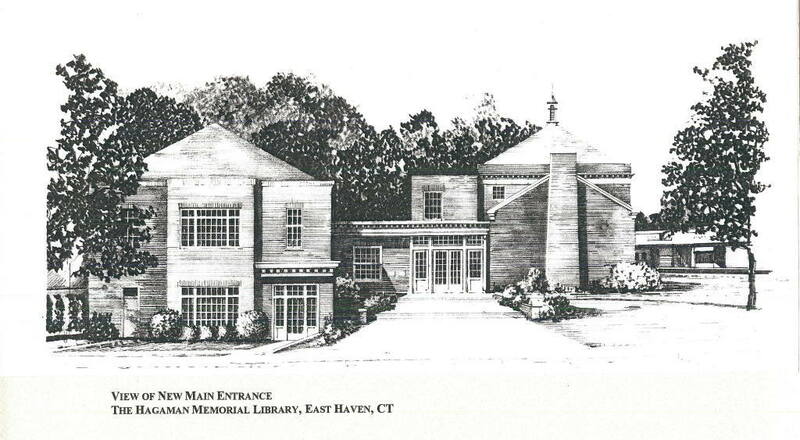 First stop is at the Hamden Public Library on Tuesday evening and second stop, Whitney Center on Sunday afternoon. Please go to our concert calendar for more details! 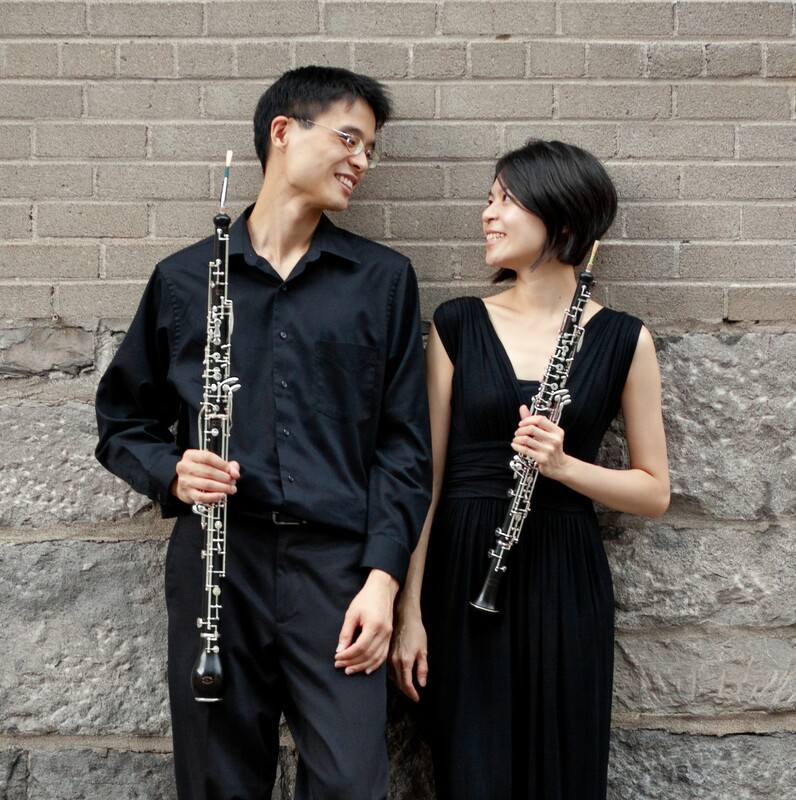 Oboe Duo Agosto is coming to Boston this Friday! Please join us at the Advent Library Concert Series for a night of duo music. The program includes two world premieres by Daniel Morel and Ryan Jesperson, and works by David Macbride and Phil Salathé. Also sharing the concert are Suzanne Lis, soprano, Eve Boltax, viola and Elena Bell, poet.